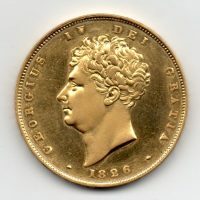 1825 Half Crown, PROOF, George IV bare head, reverse, Crowned shield with crest. 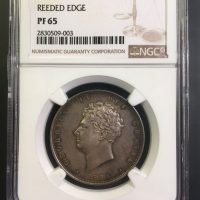 This example has been slabbed by NGC PF 65, it is the joint highest graded. It is a choice example and extremely rare in addition to being the joint highest slabbed by NGC, a superb coin. 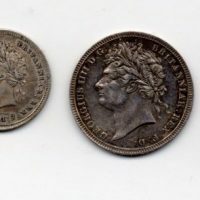 1826 Maundy set, George IV 4d, 3d, 2d and 1d. 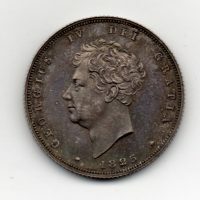 1825 Shilling, Proof issue, George IV bare head, reverse, lion on crown. This example is slabbed by NGC PF 65, a superb coin. 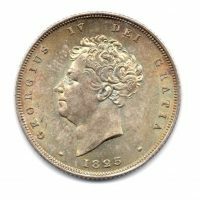 1823 Two Pound, George IV bare head, reverse, St George, date below, S.3798, nearly extremely fine. 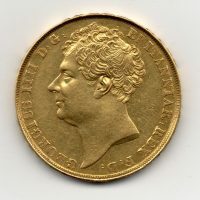 1826 Two Pound, Proof issue, George IV laureate bust, reverse, Crowned shield and mantle, good extremely fine, very rare. 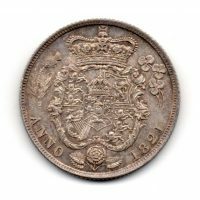 1826 Shilling, George IV bare head, reverse, lion on crown. 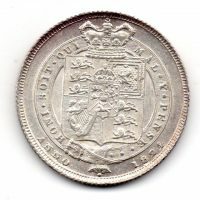 1826 Shilling, George IV bare head, reverse, lion on crown, virtually uncirculated, prooflike fields. 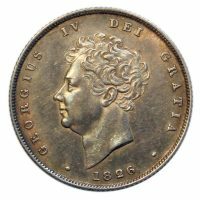 1824 Shilling, George IV laureate head, reverse, crowned shield in garter, S.3811, uncirculated. 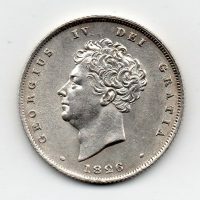 1821 Shilling, George IV laureate head, reverse, crowned garnished shield. Slabbed by NGC MS 63, a choice example of the attractive type.